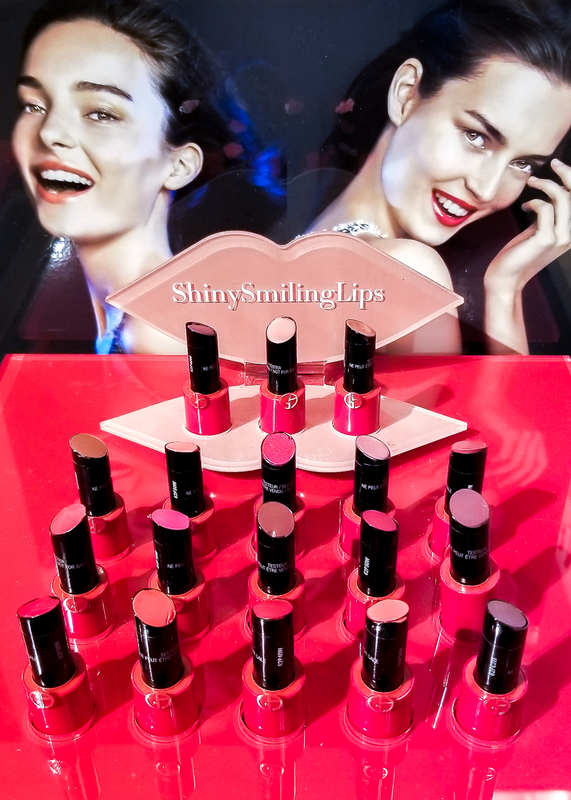 The Giorgio Armani Ecstasy Shine lipsticks feature glossy red packaging, similar to that of the other lipsticks from this brand. 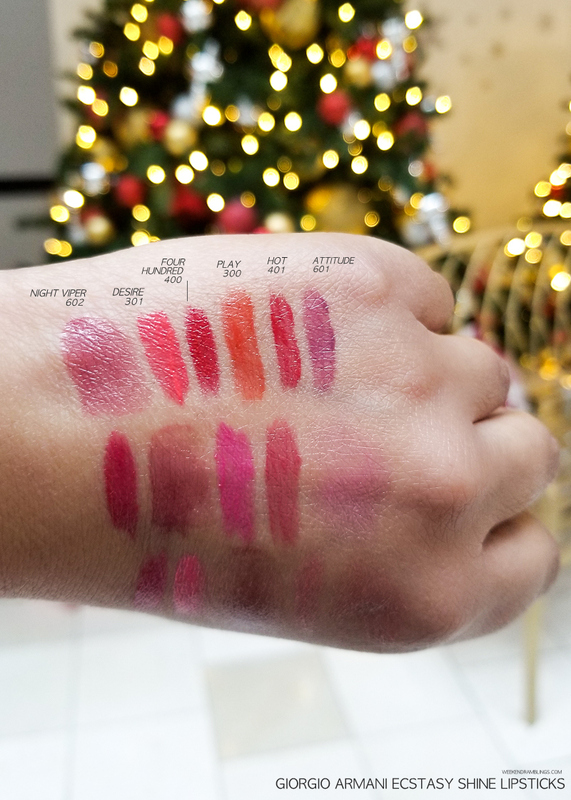 These lipsticks claim to deliver vibrant, intense color in a single swipe with the hydration and creamy texture of a balm. 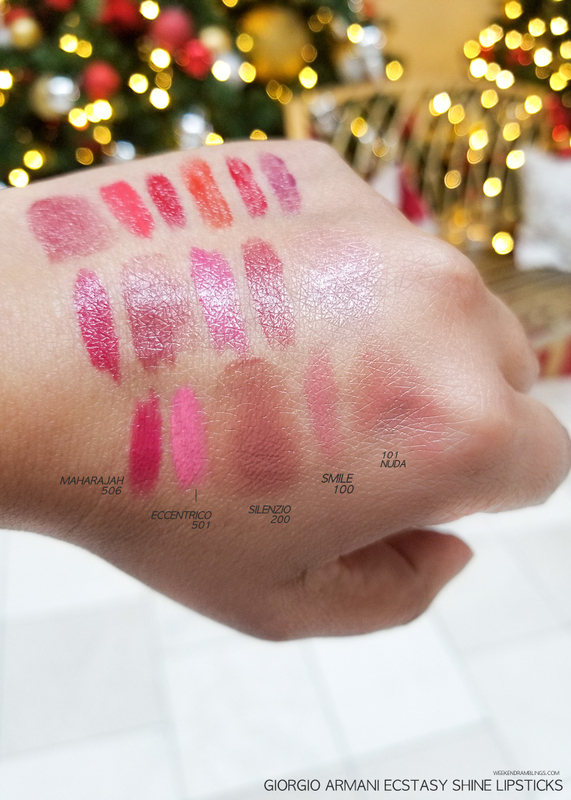 Some of the colors like Maharajah (506), Four Hundred (400), and Desire (301) do deliver rich color, but colors like Fatale (503), Smile (100) or Nuda (101) would not show up as easily on pigmented like mine. 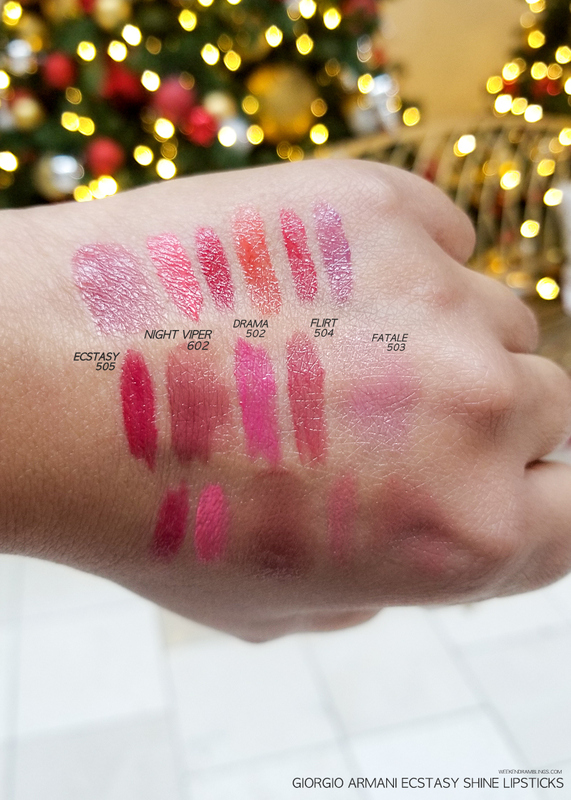 I tend to use such colors over a lip pencil, so it's not really an issue for me, and I am assuming most people who reach for balm-like lipsticks aren't looking for opaque coverage. For me, these Giorgio Armani Ecstasy Shine lipsticks are perfect. I love how creamy they feel, I love how wearable most of the colors are, and I could happily pick up a bunch of colors from this range.